Yesterday I went to a Gillian Travis workshop which was excellent. There was the opportunity to learn many new tips and techniques and I now have another work of art that needs completing! 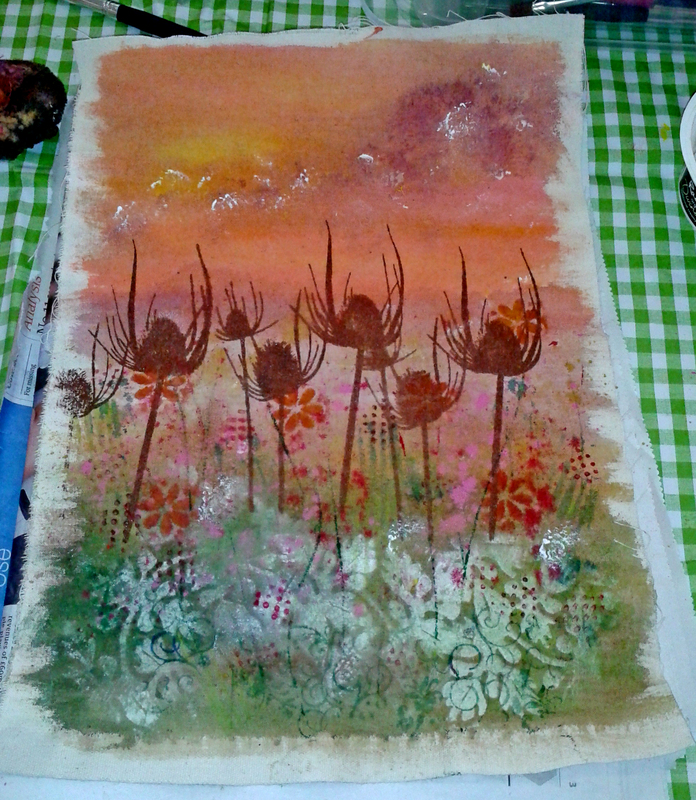 This entry was posted in Fabric Dyeing and Printing and tagged fabric painting, Gillian Travis, printing, screen printing, Teasels and seed heads. Bookmark the permalink.